Keeping your table pads sections connected and in place can prove to be a difficult task without some assistance. Our better table pads come equipped with our very own patented MagnaLoc™ (Invisible Magnetic Locking System). All table pad locking devices are NOT created equal...not even close! 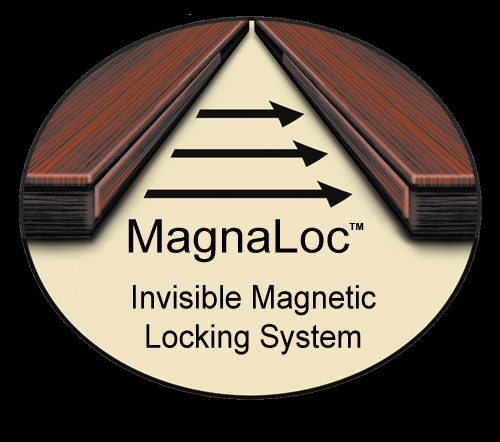 Compare our quality and magnetic locking system to any other you have ever seen in person or online. We think you'll agree - there's no comparison.